The majority of fans were not in Hong Kong physically, but were there in spirit through prayers. And the reps knew it and felt it. ANALYSIS: The burst of firecrackers and crescendo of cheers shattered the peace and quiet of this Tacirua neighbourhood on Sunday night. As a new move-in I did not mind. 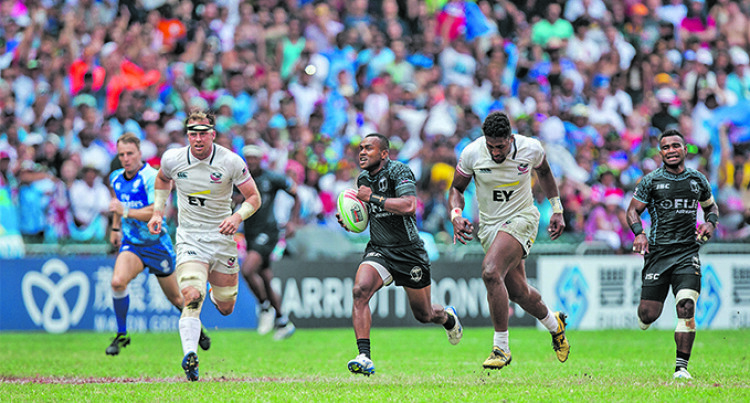 They were sounds of celebrations as the Fiji Airways Fijian Sevens reps scored an unprecedented fifth consecutive victory in Hong Kong. This is a patriotic multi-racial neighbourhood, united by the ban­ner blue and a Constitution that calls them all Fijians. That was the spirit on Sunday night, everyone putting aside their differences, ethnic, cultural, politi­cal or socio-economic, to cheer for our sevens reps. I am sure it was replicated across the nation. When our heroes scored a try, fans spontaneously clapped, danced and jumped with joy. This is the magic of the Hong Kong Sevens. It galvanises the nation and brings smiles to the faces of many people. This team was missing some big names due to injuries. But the rook­ies stepped up and rose to the occa­sion, backed by passionate fans here and abroad, who supported them all the way. Since it began in 1976, the Hong Kong Sevens has had a special place in the hearts of our people. It was where it all began before it grew to be the world circuit we have today. Fiji was in the final of the inaugu­ral tournament, but lifted the Cup in 1977, which featured rugby icon Ratu Ilaitia Tuisese. Fiji is therefore synonymous with Hong Kong because it is steeped in rugby tradition both in 15s and the abbreviated code. It is often said that sevens suits us better because of the extravagant and unpredictable way we play it. When you hear commentators use superlatives like unreal, sublime, magical, you know our reps are on song – and the fans love it.